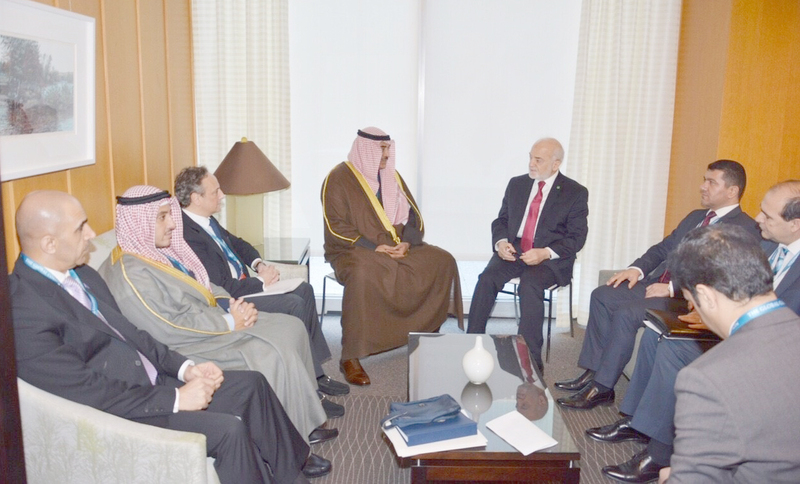 Kuwait's First Deputy Prime Minister and Minister of Foreign Affairs Sheikh Sabah Al-Khaled Al-Hamad Al-Sabah met Iraqi counterpart Ibrahim Al-Jaafari on the sidelines of a meeting for the international coalition against the so-called Islamic State (IS) in Washington Wednesday. Sheikh Sabah Al-Khaled and Al-Jaafari reviewed relations between their countries and means to boost them in all fields, in addition to the latest developments on the regional and international scenes. The meeting was attended by Kuwait's Ambassador to the US Sheikh Salem Abdullah Al-Jaber Al-Sabah, Assistant Foreign Minister for the Affairs of Sheikh Sabah Al-Khaled's Office Ambassador Sheikh Dr. Ahmad Nasser Al-Mohammad Al-Sabah, and Assistant Foreign Minister for Development and International Cooperation Affairs Ambassador Nasser Al-Sabeeh and the Ministry's senior officials.